There are some days in your life that you will never forget. The day I shot the Height Goddess Fall 12 Look Book is one of them. While you all know that I LOVE HG clothes, the team behind Height Goddess is equally amazing. I flew into Dallas and was greeted by the amazing Lameka Weeks (Height Goddess Owner and Creative Director). She had a gift bag complete with snacks (which we all know makes this tall girl happy). We immediately bonded and I can truly say that I have another tall friend for life. BEHIND THE SCENES AT THE HEIGHT GODDESS FALL LOOK BOOK SHOOT. 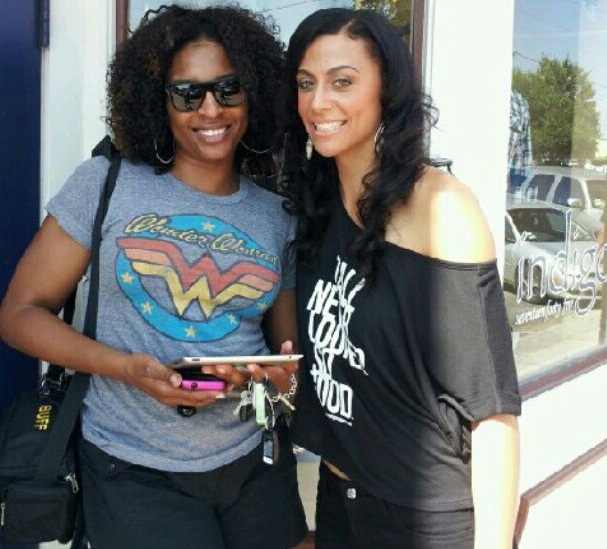 HG Owner and Creative Director, Lameka Weeks and I taking a break in the shade at the shoot. It was a fall shoot but the weather was SUMMER HOT.We went to her studio and checked out all of the looks. I was in heaven! Seeing all of the fall items before anyone else was a treat. I got all giggly inside. This is where I met Height Goddess Fashion Director extraordinaire Porsche Montgomery. Along with her, I picked out the looks that I felt reflected my personal style. Fashion Fix Stylist Porsche Montgomery makes sure everything is in the right place.The day of the shoot (complete with strong coffee for the 5am wake-up call), the Height Goddess glam squad made this tall girl feel (and look) like a fierce, fab, tall drink of water. Kassie Coleman (make-up) and Shontae Parker (hair) went to work and I was beautified in no time. Make-up artist Kassie Coleman got me all purty. Kassie and Shontae kept me looking right all shoot long. They also got a calf workout. This 6'6" is not easy to reach.The Art Director for the shoot was the one and only Karie Williams. She put everything together, kept us on time and brought the entire project to life. She picked out amazing locations including Indigo 1745 which also carries Height Goddess apparel. Last but certainly not least, the man, the myth, the legend, photographer Tim Corey. His eye made the Height Goddess Look Book amazing. You gotta love a man that makes you look beautiful. His talent is very much appreciated. Photographer Tim Corey not only took amazing pictures, he also cooled this tall girl off. That Dallas heat was no joke.At the end of the day, we shot an amazing fall look book. 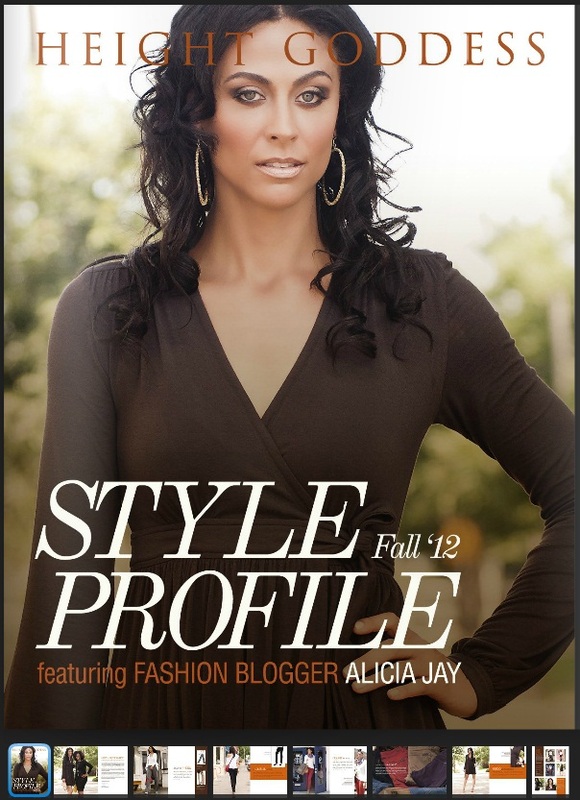 I was and continue to be honored that Height Goddess picked me to wear their amazing fall collection in this campaign. Tall Never Looked So Good! PS. I gotta include this man. He was passing by the shoot and couldn't jump in this photo fast enough. Apparently being sandwhiched by 2 Height Goddesses was on his bucket List and boy did he get to mark it off! As you can see, he was in tall heaven.